There is one word our SmarTours’ group learned from our Moroccan guide, Khalid, that could possibly become as popular as hashtag. It’s called shooffing. Don’t confuse it with the Yiddish word for sleep, schluffing. 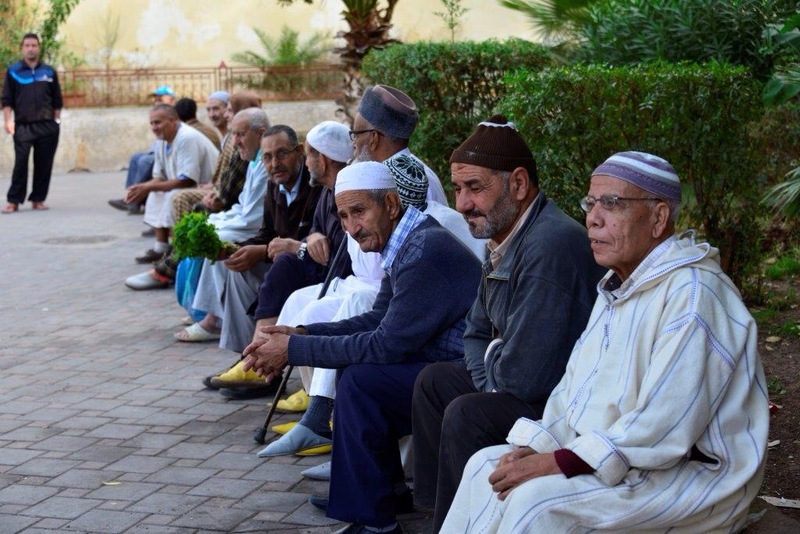 Shooffing is very popular among the men of Morocco. When men shooff, they are usually sitting in a sidewalk café, drinking coffee or tea for hours, staring at everyone and everything that passes by. It’s a type of gawking. The streets of Morocco are lined with men shooffing. You wonder if these guys ever work. We were told that they shooff more hours than they do actually earn money. Women rarely shooff. They are busy working and taking care of the household. When they do meet up with other women, it usually takes place in the privacy of someone’s home or at a special event. Men like to gather in public places and shooff together. They almost put themselves in a hypnotic state during their shooffing periods. Most of the time, the men are not even talking to each other. They would rather use the time to be in their own worlds. Shooffing is such a great word. I want to copyright it and turn it into the next hashtag in terms of popularity. It should be pretty easy to do through social media. I would appreciate any helpful hints how to do that. I need to get a viral spin going and then somehow commercialize the name. Sounds easy but it really needs some magic potion to get people to spread the word. That’s where Facebook, Instagram, and Twitter come in. We just need to work the system. This entry was posted in digital, senior lifestyle, tech and tagged gaewking, shooff, shooffing by loiswhitman. Bookmark the permalink.